Need to get a painful splinter out of your skin? Apply some bacon grease onto the affected area and place a band-aid on it overnight. The bacon grease will soften the skin tissue and draw out the splinter, making it easier to remove with tweezers the next day. After cooking your bacon in a pan, simply strain the leftover grease through a paper towel into a glass jar and store in a refrigerator for up to six months. 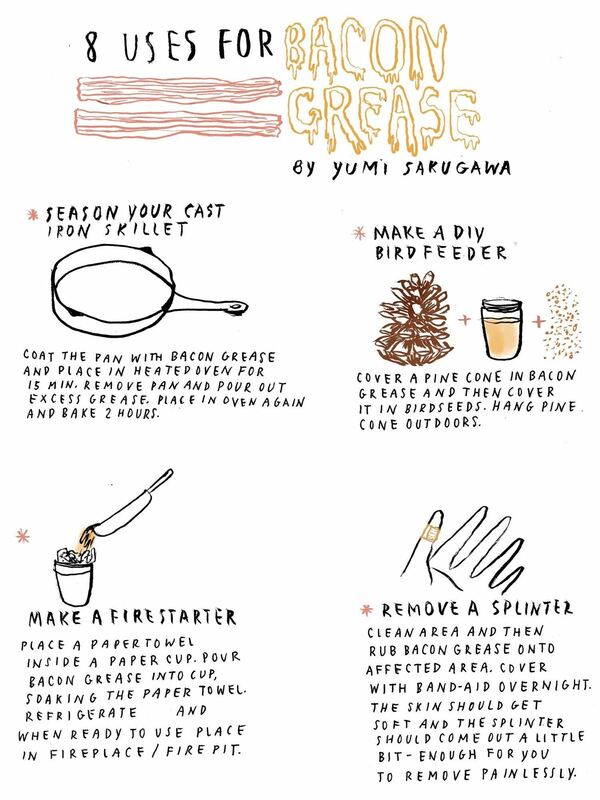 In addition to healing your splinter wounds, bacon grease is also great for seasoning your cast iron skillet, making a fire starter, attracting birds to your backyard garden, and making pretty much everything you cook taste more delicious. 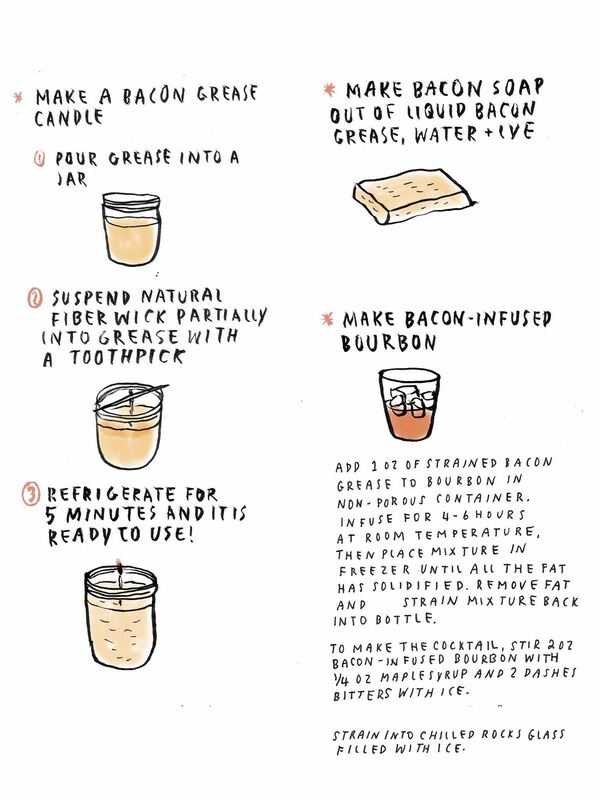 If you're ever in need of a DIY emergency oil lamp, place a natural fiber wick inside some bacon grease and cool in a refrigerator. Light the wick when needed and enjoy the smell of bacon in the candle glow. 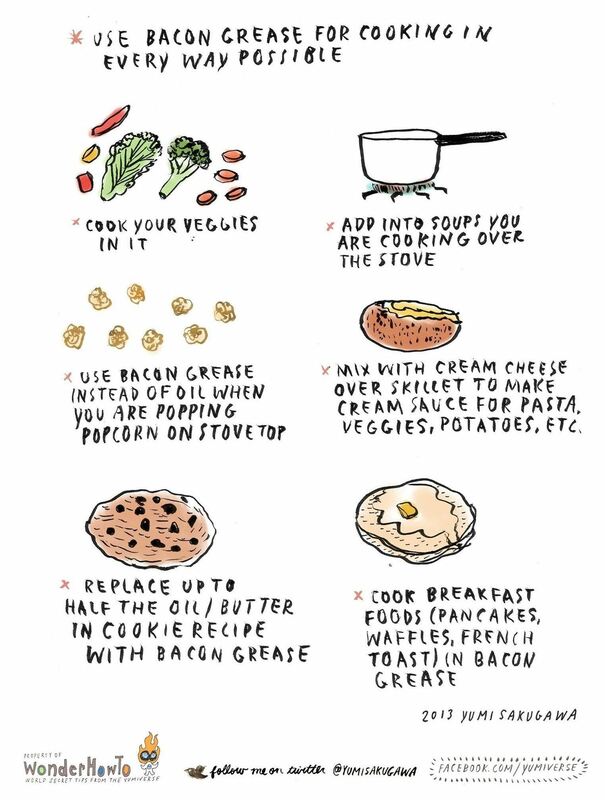 Got your own favorite uses for bacon grease? Share with us? DIY Bacon Rose Bouquet: Who Says Bacon Can't Be Romantic? How To: Could This Clever Trick Really Keep Bacon from Shrinking? Bacon grease is ideal if you need to clean off hands esp for paints and tars, use liberally and wipe off w rag or paper towels. I've used bacon grease to fry up my stew meat for years. After cooking I put meat in a colander to drain fat. Then throw meat, sliced potatoes, green beans, corn and a pkg of au Jus mix into large crock pot with water to cover. I add ingredients over a period of time so things don't get mushy. Always had great reviews. Some friends that don't eat bacon, want know my secret. I just smile.